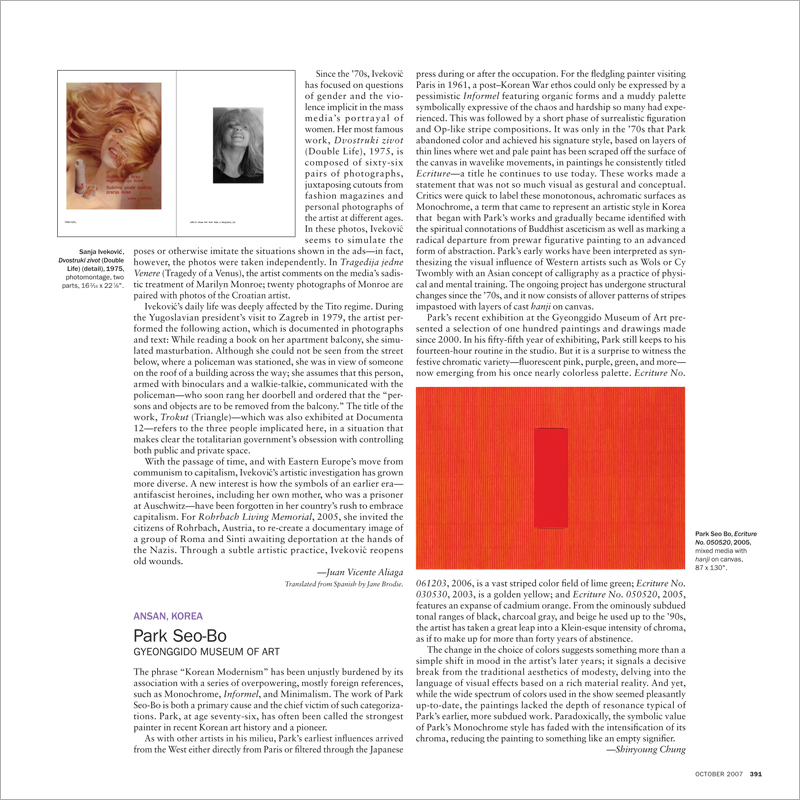 The phrase “Korean Modernism” has been unjustly burdened by its association with a series of overpowering, mostly foreign references, such as Monochrome, Informel, and Minimalism. The work of Park Seo-Bo is both a primary cause and the chief victim of such categorizations. Park, at age seventy-six, has often been called the strongest painter in recent Korean art history and a pioneer.